“We’re eating World War 2’s leftovers!” For the past 70 years chemical agriculture has been waging war on life. 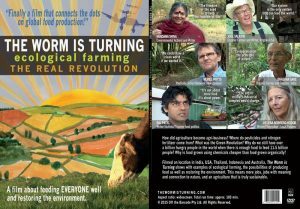 This is the story of how corporate agribusiness is taking over the world’s food production revealed through historical archival footage, and shows how this system is destroying people’s health, economies and the ecology of the world. Check this film out. Afterwards you’ll want to be buying organic or at least spray free if you’re not already.